If your destination for this vacation is Croatia, you can not miss Croatia by boat. 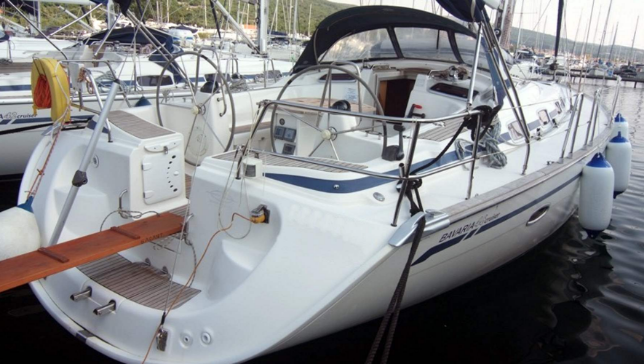 When sailing on the Croatian Adriatic coast, you can rent this boat with skipper and navigate its different areas: Istra, Kvarner, Zadar, Sibenik, Split and Dubrovnik. In any of them you will discover magnificent natural landscapes that change a lot from one area to another. The Dalmatian coast has the opportunity to shelter from the wind in different parts of its coastline and between its islands. So you will not be deprived, especially in summer time of good sailing due to problems of strong winds. What to see in Croatia. Tourism in the Adriatic Sea has expanded exponentially in recent years. 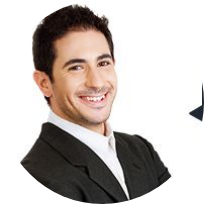 In addition to finding your ideal charter you can do activities focused for all audiences. Points of interest. On each scale, depending on the navigation area you will live your culture and history through its architecture. Its islands, beaches and coves. Each area is different, there are more rocky places, and truly formidable beaches where to make a stopover to rest. Water activities in Croatia. Being the most extensive coast of the Mediterranean has many kilometers of coastline where you can enjoy all kinds of water sports. 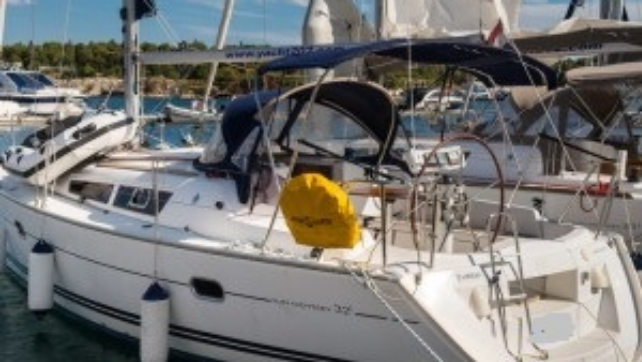 Your Itinerary to navigate with a rental boat should include Split, Brac, Vis Islands, Hvar, Korcula, Ston, Dubrovnik, but the setting of the itinerary for your boat rental week in Croatia, you can leave it to the captain, and you just have to relax and get to know Croatia from a boat. As the rental boat is located in Croatia, you have many options to explore and discover, from islands, national parks and other beautiful historic cities. If you want to know what to do in Croatia, we suggest you go "island that jumps" and visit Brač, Šolta Vis or Hvar. Each island is perfect and unique in its own way. While in Croatia, in addition to exploring the mysterious Adriatic Sea, you should explore the traditional Croatian specialties and try their typical foods. If you want to know what to eat in Croatia, try their delicious seafood, good wines, cheeses, and their olive oil. The price corresponds to the daily value between the weeks of May 25 to June 8. Prices can go up or down on different dates and are expressed in dollars. They are confirmed at the time of booking according to the chosen week and the euro / dollar exchange rate of that date. Wake up every day in a different port, enjoy a delicious breakfast on board, sunbathe on the deck of the ship, sail through the islands to a beautiful beach, sailing class with Jorge, swim in the blue waters of the Mediterranean, fall in love with the starry nights in the sea and discoverthe cities and ports that we propose to you in the route. DISCOVER COAST OF SICILY AND THE AEOLIAN ISLANDS: Palermo, Stromboli, Lipari, Vulcano, Cefalù. Departure June 25th. DISCOVER AMALFI COAST AND CAPRI ISLAND: Sorrento, Positano, Amalfi, Capri. Departure July 6th. DISCOVER IBIZA AND FORMENTERA. Departure from July 16th to August 20th. DISCOVER MALLORCA AND MENORCA. Departure from July 16th to August 20th. Duration: 7 days and 7 nights on board. The route is confirmed with the weather of each day. Your Charter begins and end two miles from Fort Lauderdale Beach. You will board our 40ft sailboat at a private residence,We will cruise down the Historic Ft Lauderdale New River through downtown viewing Masions,Mega Yachts and Port Everglades to the beautiful Atlantic Ocean.I customize each charter based on the group that is on the sailboat. 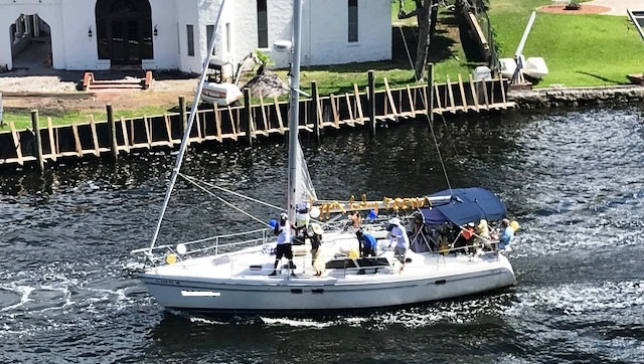 Sailing FortLauderdale? 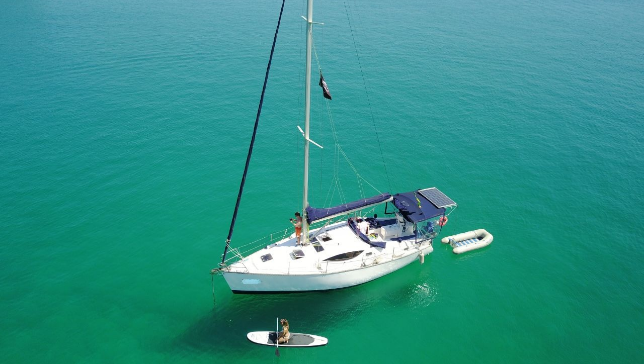 we wilI provide options of sailing,ocean swimming,snorkeling,fishing or chilling on a floaty is a calm cove. We have refrigeration on board so you are welcome to bring food and beverage.Our trips are child friendly ,great fun and safe. Come Sailing with us. Have fun and enjoy your sailing holidays in Ibiza, in your free time and leisure, we will do everything necessary to make perfect days. We have the latest equipment in terms of equipment, comfort and safety, all designed to make you enjoy those days of well-deserved rest. We offer you all the possibilities to spend an unforgettable summer vacation choosing the route you prefer. 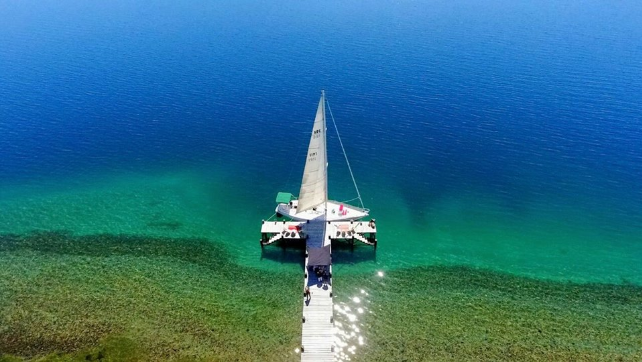 We invite you to discover the pleasure of anchoring in coves of crystal clear waters in any of our boats so that your sailing experience is the place where you find the pleasure and relaxation you need. 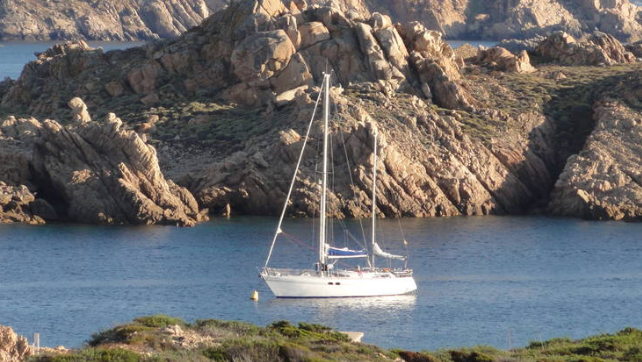 This can be a day of your vacation in Ibiza by sailboat, we get up early in Porroig, with a sea in absolute calm. We prepared breakfast and while we talked we had eaten the island of Ibiza, although we had to see some of the best beaches on the island: imagine is Xarcu, Es Jondal, Sa Caleta (fishing site), Es Codols and the wonderful beach of Salinas. What to do in Croatia? 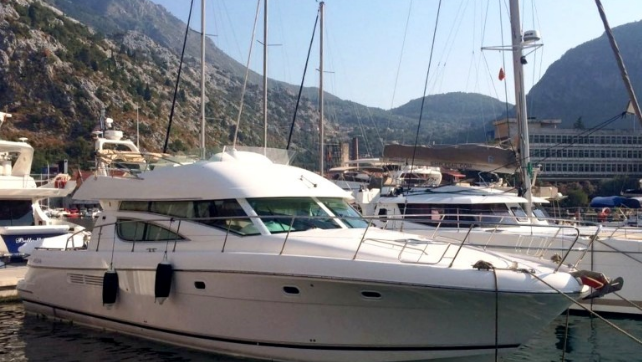 Yacht charter in Croatia? 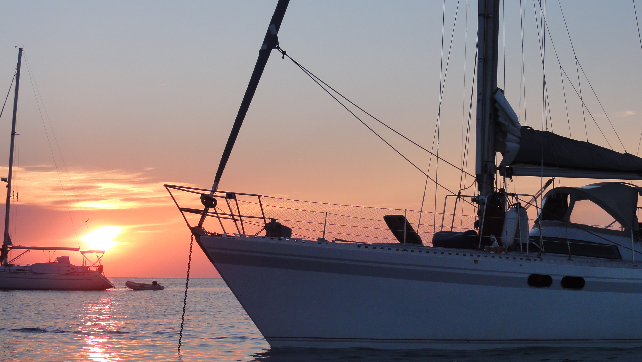 You can choose these experiences for your sailing holidays in Croatia. 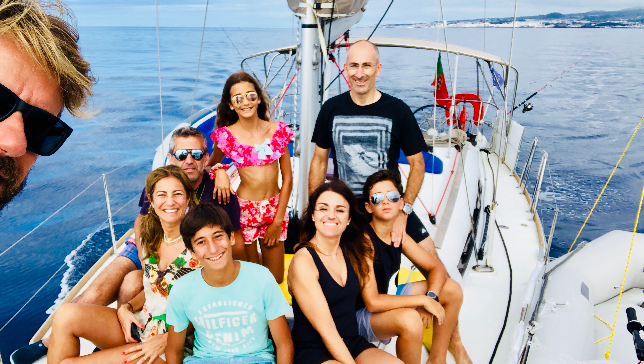 Family relaxation in the heart of nature Cruising the open seas together with your family is a perfect way to show all your loved ones, your children as well as your parents, how deeply you really care about them and how much you really enjoy their company. HONEYMOON With love on the same wave . Make your romantic dreams come true and experience incredible sunny moments on the board of our yachts. Your honeymoon trip or renewal of your wedding promises will surely be the most beautiful present for each other .CELEBRATION Anchor in luxury Celebrate your family anniversaries, birthday or any other type of event in style. On the board of our yacht you will surely find unforgettable experience and flawless comfort for each occasion . A new day a new harbour, new friends and new experiences Experience and enjoy something new with your friends every night. Discover the best places and restaurants try out the local attractions and specialities and take in and enjoy the atmosphere of various romantic small towns and enchanting villages scattered all over the coast line. Boat rental with skipper in Croacia. We offer also optional services as: Advance Provisioning Allowance (APA): Fund board serving to cover the costs of requested supplies, port and mooring charges, diesel and fuel, communications, crew gratuities, extras and depend on your particular request for services, itinerary, food, beverages etc. Physiotherapist services . Clients can choose from this massages - Acupressure massage, Sports massage, Breuss massage, Relaxing and Anti-stress massage, Soft techniques and Myofascial massage, Bamboo massage, Manual lymph drainage full body massage, Anti-cellulite massage, Honey detoxification massage, Reflex back massage, Reflexology Hand massage, Hot Stone Massage, Cupping massage. Other type of massages, soft and relax techniques you can personally discuss with our Physiotherapist on board. Therefore we extend our services with special exercises for our clients - Dorn method, Stabilisation and Mobilisation body system (SM System), Stretch Exercises to fix your posture and Basic Yoga positions." Chef services . Water sport instructor services. Instructor for water sport activities specialize to - wakeboarding, water skiing, paddleboarding, snorkeling and swimming lessons for small kids from age 2 years. Fitness trainer services. Fitness trainer for Aerobic, Yoga, Zumba and also for Water Aerobic and Water Yoga.". Hostess services. Prices at your disposal. The price corresponds to the daily value between May 11 to May 18. Prices can go up or down on different dates and are expressed in dollars. They are confirmed at the time of booking according to the chosen week and the euro / dollar exchange rate of that date. 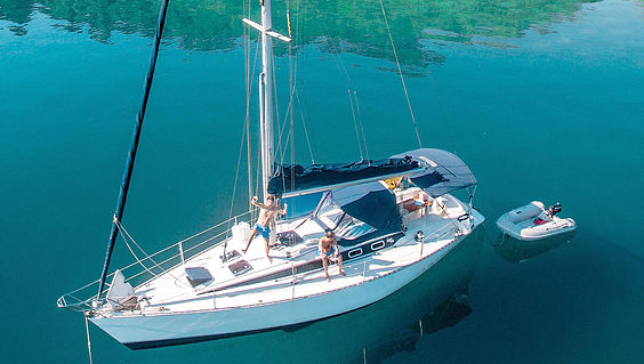 You can choose these experiences for your sailing holidays in Croatia. Family relaxation in the heart of nature Cruising the open seas together with your family is a perfect way to show all your loved ones, your children as well as your parents, how deeply you really care about them and how much you really enjoy their company. HONEYMOON With love on the same wave . Make your romantic dreams come true and experience incredible sunny moments on the board of our yachts. Your honeymoon trip or renewal of your wedding promises will surely be the most beautiful present for each other .CELEBRATION Anchor in luxury Celebrate your family anniversaries, birthday or any other type of event in style. 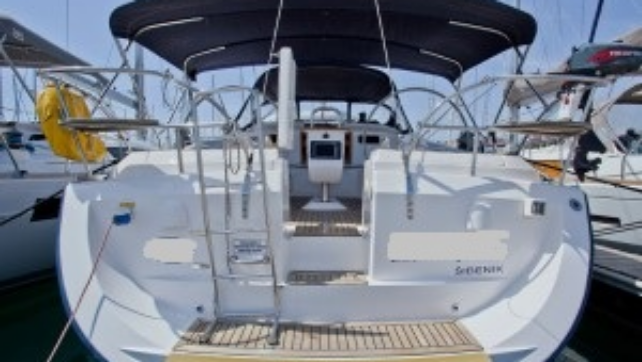 On the board of our yacht you will surely find unforgettable experience and flawless comfort for each occasion . A new day a new harbour, new friends and new experiences Experience and enjoy something new with your friends every night. Discover the best places and restaurants try out the local attractions and specialities and take in and enjoy the atmosphere of various romantic small towns and enchanting villages scattered all over the coast line. We offer also optional services as: Advance Provisioning Allowance : Fund board serving to cover the costs of requested supplies, port and mooring charges, diesel and fuel, communications, crew gratuities, extras and depend on your particular request for services, itinerary, food, beverages etc. Physiotherapist services . Clients can choose from this massages - Acupressure massage, Sports massage, Breuss massage, Relaxing and Anti-stress massage, Soft techniques and Myofascial massage, Bamboo massage, Manual lymph drainage full body massage, Anti-cellulite massage, Honey detoxification massage, Reflex back massage, Reflexology Hand massage, Hot Stone Massage, Cupping massage. Other type of massages, soft and relax techniques you can personally discuss with our Physiotherapist on board. Therefore we extend our services with special exercises for our clients - Dorn method, Stabilisation and Mobilisation body system (SM System), Stretch Exercises to fix your posture and Basic Yoga positions." Chef services . Skipper services . Water sport instructor services. Instructor for water sport activities specialize to - wakeboarding, water skiing, paddleboarding, snorkeling and swimming lessons for small kids from age 2 years. Fitness trainer services. Fitness trainer for Aerobic, Yoga, Zumba and also for Water Aerobic and Water Yoga.". Hostess services. Prices available for you. 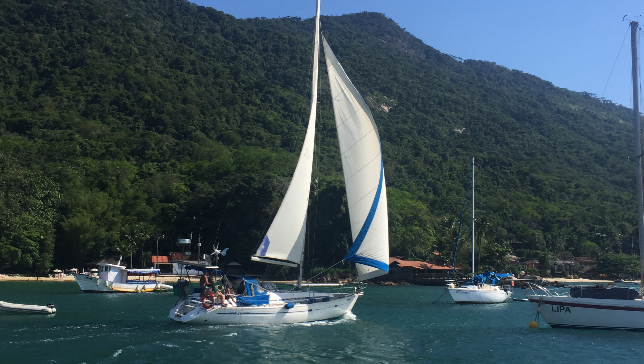 A week of vacation sailing through the paradisiacal beaches of Angra dos Reis, Ilha Grande and Paraty.. Swim in crystal clear water, enjoy the beautiful beaches, snorkel are some of the activities you can do. 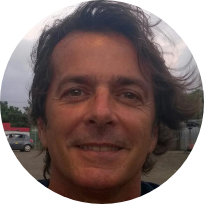 The tour will be designed together with you and your group. 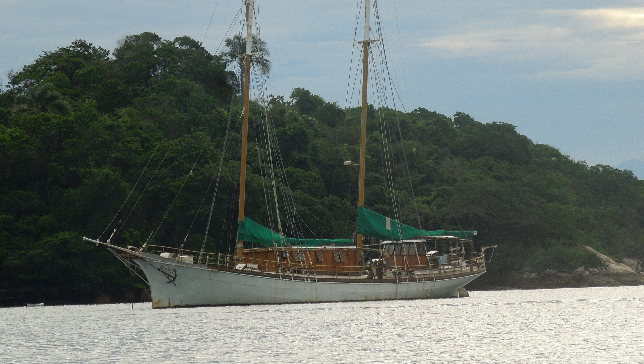 Botinhas Islands, Cataguases Islands and Ilha Grande: Maguariquessaba, Ensenada de Sitio Forte, Freguesía, Bananal, Japariz, Lagoa Azul, Saco do Ceu, Abraao, Palmas, Pouso , Lopes Mendes, and may also include a navigation to the beautiful colonial city of Paraty, also visiting Paraty Mirym and Saco de Mamanguá. After defining the route, it is confirmed at the time of boarding with the weather.The port of embarkation is the Pirates Shopping in Angra dos Reis, 151 km from Rio de Janeiro, we can coordinate the transfer for you if you need it. 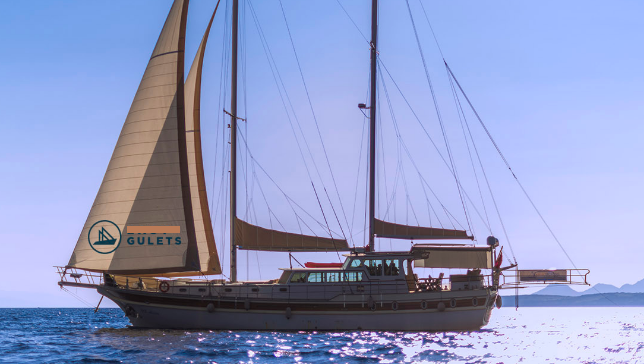 One of the luxury category gulets, equipped with all the comfort, won international acclaim since its first day. Our boat has two main master cabins, 1 double cabin, 1 triple cabin. 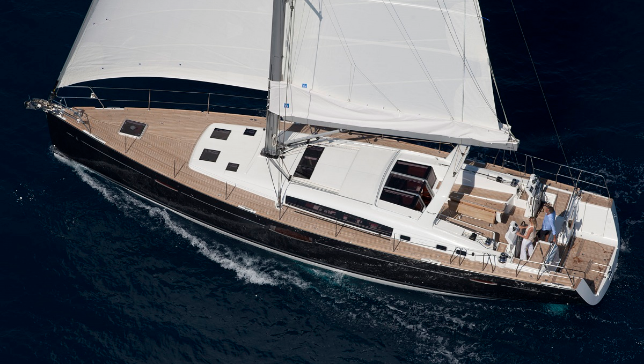 The luxurious gulet combines quality and comfort with its spacious and elegant cabines and living spaces. The staff, captain, cook, sailor and hostess, is working orksl happiness throughout your stay. What to do on board in Corfu?Enjoy the water sports on board such as canoe, ringo, water skiing, kneeboard, snorkel and fishing rods. 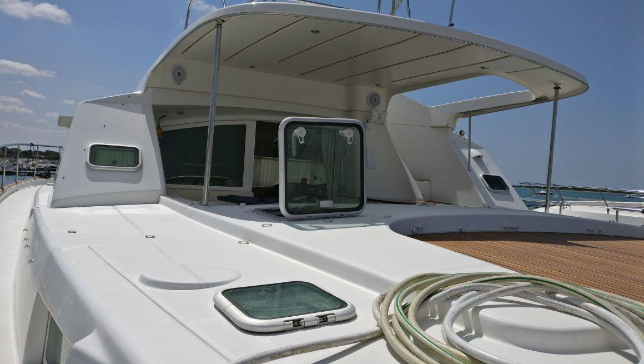 Other equipments on board are sun tents, sun beds, shower on deck, sea ladder and service boat. Everything that works with petrol is paid, everything that runs without petrol is free. During your vacation 10GB internet connection is free. The vessel is located up the New River near downtown Fort Lauderdale; we have about an hour to the ocean; the trip up the River is wonderful with lots of mega houses and yachts to see as well as the beautiful South Florida landscaping. The boat trip is focused on sailing but some guests prefer just to travel up and down the waterways, maybe stopping at a waterfront eatery for lunch or early dinner. 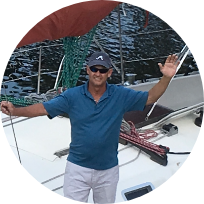 If you would like to learn some sailing, the Captain would be happy to teach you and your guests; take the helm and enjoy the feel of commandering a ten ton vessel. Weather dependant, we can put the ladder down and do some swimming or snorkeling. Just being on the yacht and enjoying South Florida weather is a treat. Plenty of place to just stretch out. Make yourself comfortable down below. She has a wonderful bathroom for your convenience. Most of the sailing is up and down the coast adjacent to Fort Lauderdale Beach. If the winds are more favorable, a trip out to the Cobalt Blue Gulfstream is a treat. Come and make yourself at home aboard my boat. 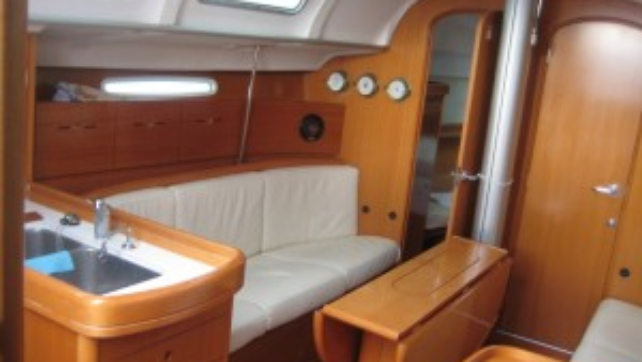 When you charter my boat, you and your guests are the only people on the boat. One passenger or six, there is one total price for all. mini cruise - tremiti islands - take a break from work when you wake up in the harbor to admire the view, a bit of sailing and lots of sea. Our Meeting Point in Azores is in Sao Miguel, the largest island of the Azores archipelago, at the harbor of Ponta Delgada for 10-days cruise and discovery of this magnificent group of islands. The safety rules will be laid out and a briefing will be done to ensure that the cruise is going well. Afterwards you will discuss the route you want to take depending on the weather conditions we decide where to go or what to do. 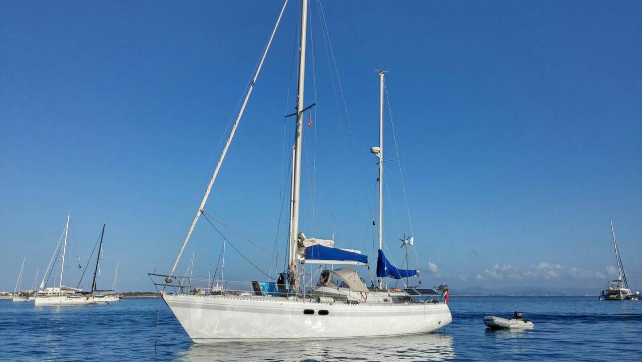 Thanks to this cruise you will be able to taste the freedom to live on a sailboat, to be able to move around the islands without packing and unpacking constantly and to follow what the weather, the local events and the activities can offer you. The adventure! What to see in Azores? You will leave Sao Miguel for a discovery cruise of the islands. You will start with the island of Terceira, island of the celebration, which offers a multitude of possible outings during the summer but also walks to discover a historical and natural heritage. Then you can then reach the volcanic island of Sao Jorge with its steep cliffs and lush panoramas or the island of Pico that takes its name from the volcano that dominates, the landscape is ideal for hiking in the nature. Then you will sail towards Faial, known as the Blue Island, due to the many hydrangeas that bloom during the summer and then sail back to São Miguel. What to do in Azores? Throughout this cruise you can do various activities such as snorkeling, stand-up paddle, fishing and hiking ... The cruise will end with a return to the harbor of Ponta Delgada. Imagine exploring the most spectacular and – for all but the most privileged few –inaccessible archipelagos on the planet; a realm of uninhabited islands and deserted beaches, remote tribal villages and historic spice-trade sites, pristine coral reefs and dazzling marine life. On Earth Raja Ampat has been described by many scientists as the richest place for Marine life on Earth, a diver’s mecca that relatively advanced divers should not miss. The biodiversity is just amazing with weird and rare underwater creatures everywhere you look and many new species have been discovered over the last few years in the archipelago.Raja Ampat is like heaven for underwater photography with magnificent hard and soft coral, clear water and a teeming reef life. These islands are very rich in macro life with just about all of the kind of critters you can dream of! Certain locations such as Wayag, Panemu or Misol are famous for their panoramic views and bays filled with small mushroom islands which are accessible by our tenders and sea kayaks. There are thousands of potential dive sites. Route 8 days North: Day 1. Sorong – Black Rock. Day 2. Penemu – Fam Island. Day 3 – 4 Kawe – Wayag. Day 5. Pulau Wofoh – Gam Island – Arborek. Day 6. Arborek – Dampier Strait. Day 7. Dampier Strait. Day 8. Sorong – Departure day. Inclusions Full board accommodation, Diving (up to 4 dives per day). As a general rule there is one dive on arrival day (check dive) and no diving on departure day, Dive Guide, Dive on last day depending on flight, Missed dives cannot beclaimed for a reimbursement. Land and/or shore excursions according to program/itinerary. Snacks, soft drinks, water, tea, coffee, espresso. Weights and weight belts. Pick up and drop off to embarkation/disembarkation Hotel or Airport. Government taxes.Administration/port clearance fee. Welcome drink. Laundry (2 pcs/day). Fishing activity (based on possibility to do in certain areas). Kayak activity. Fuel Surcharge up to 5 hours navigation per day. 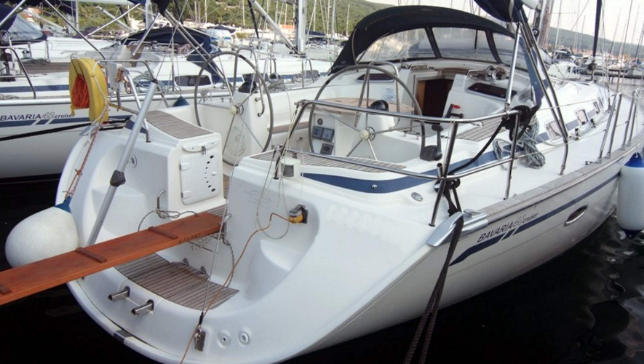 Boat Rental Angra dos Reis with crew, the boat is a Bavaria 46 Cruiser. What to do in Mallorca and Menorca? During this week we will enjoy together these islands full of beauty on all sides, we will travel on its crystal clear waters the sites considered as the best coves that will not leave you indifferent and that have nothing to envy to the Caribbean beaches. Located in the middle of the Indonesian archipelago in the Flores Sea, Komodo National Park consists of the three large islands of Komodo, Rinca and Padar, and many more smaller ones. As a result of volcanic activity, the unique geology of Komodo National Park Islands offers stunning scenery above and below water. 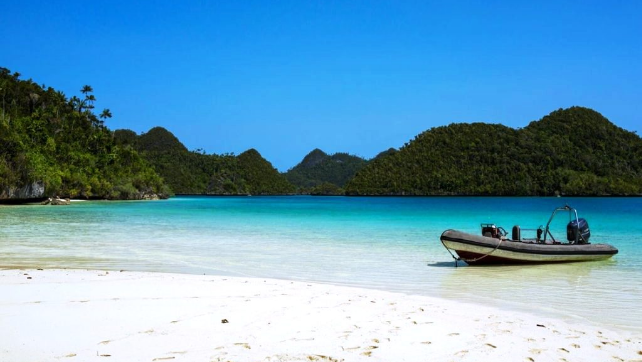 The islands feature a dramatic wild savannah landscape with patches of forest, white and pinky sandy beaches, blue lagoons teeming with fish and some of the most spectacular underwater sceneries in the world. Here there is both possibility to dive, trekking and discover local culture. Perfect place to do your first diving experience. 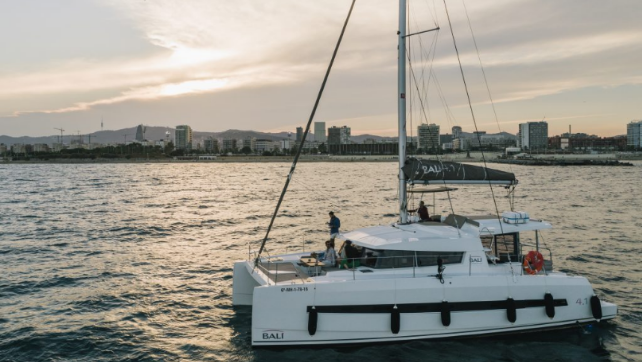 Exquisite outing along the coast of beautiful Barcelona and enjoy a wonderful meal or barbecue on board the catamaran. 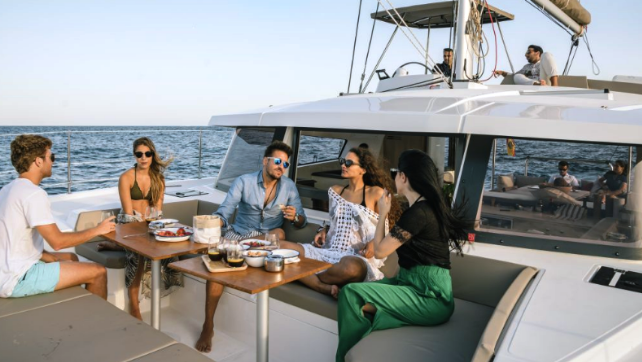 The experience includes: water, two beers or soft drinks per person, bottle of wine for four people, and restaurant or barbecue kitchen on board. We have a multidisciplinary team that brings personality, richness and closeness to the boat. 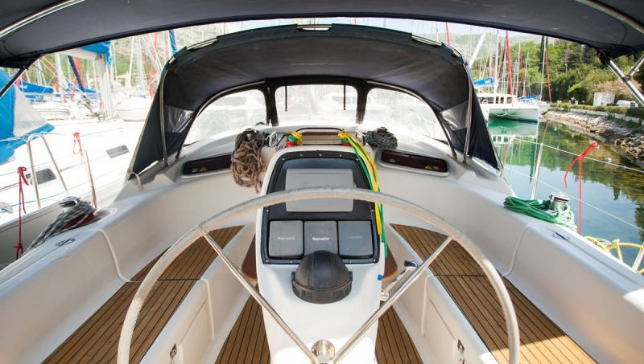 The boat has great stability It offers very comfortable spaces as well as integrated speakers, padded platforms outside, toilets, full kitchen and other benefits. 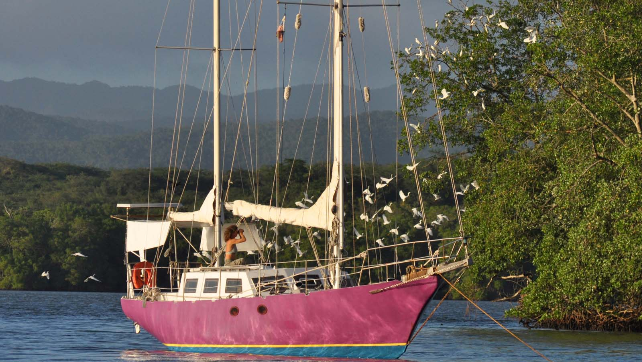 All our outputs include skipper and other expenses of the boat. 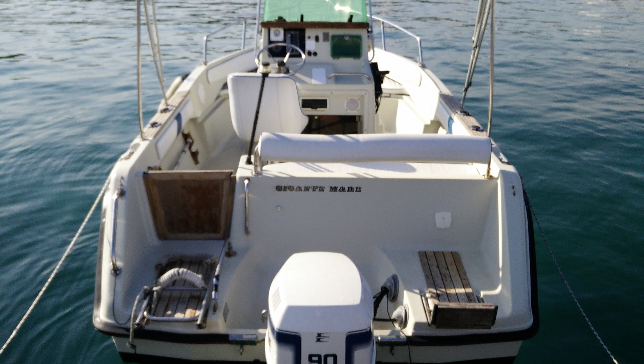 Our boat has a variety of alcohols to take a Good Vermouth or to enjoy combined with Geneva, Rum, Whiskey and Vodka. - paddle surfing and snorkeling (In the days of good sea our experiences offer the possibility of bathing in the water, you can also enjoy water sports such as paddle surfing and snorkeling). Always with the consent of the captain. Our nautical base (check in and check out) is in Marina di Forio, on Ischia Island, the Green Island, a very important place for a very easy sailing around amalfi coast, Capri, Positano, Amalfi and Neapolitan Islands. But we are very near to an other group of islands, Pontine islands, amazing wilder places. It's possible go to Marina di Forio from Naples airport or Naples station by Car Transfer Mercedes Van and go to Napoli Beverelle port where there are a lot of ferries or hydrofoil for Forio d'Ischia ( 1 hour ). From here it's possible, out of the port, start the experience with a swim in the natural thermal water of Sorgeto of Ischia and stay in the bay of Sant Angelo or Cartaromana for the first night. Next...evey route it's possible: Amalfi Coast, Neapolitan Islands or Pontine Islands. 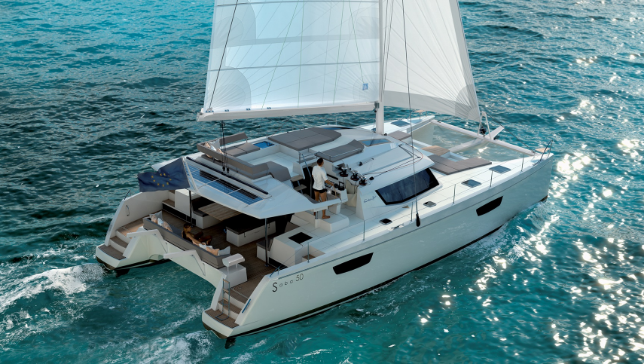 Our catamaran, it's a new generation boat and on the bow has a cockpit with cushions and tables, a living deck for amazing aperitives. A big american style fridge with two doors and isce maker. The back it's totally closing. Organize a different, unique and unforgettable vacation. 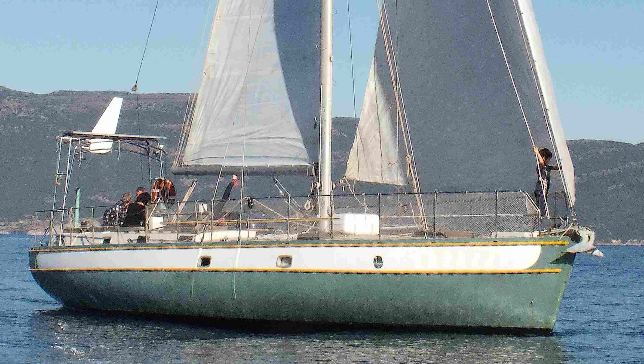 In a modern and comfortable sailboat of 15 meters of length. Get to know the most beautiful beaches and islands of Angra dos Reis, clear, crystalline waters and the unique beauty of the incomparable. 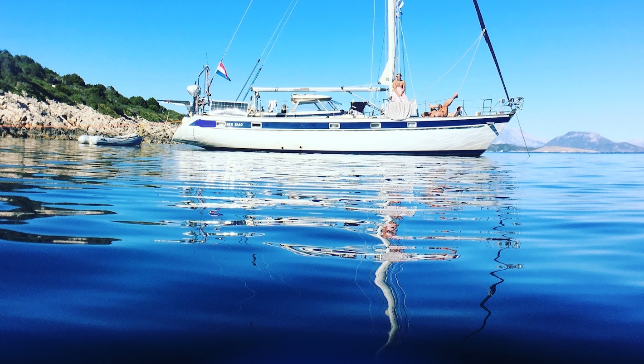 We are a couple that has lived on board for 5 years, being our greatest desire to receive people who like to enjoy nature or a tasty meal on board surrounded by this paradise. Activities such as the stand up padell, snorkel, discovering the aquatic flora, schools of tropical fish, turtles and walk through the jungle trails to reach a waterfall with crystal clear waters The sounds and songs of the various birds are a set of unforgettable sensations for grades or children. The route is defined together with the visitors.The port of embarkation is the Pirates Shopping in Angra dos Reis, 151 km from Rio de Janeiro, in Isla Grande and in Condominio Frade, we can coordinate the transfer for you if you need it. 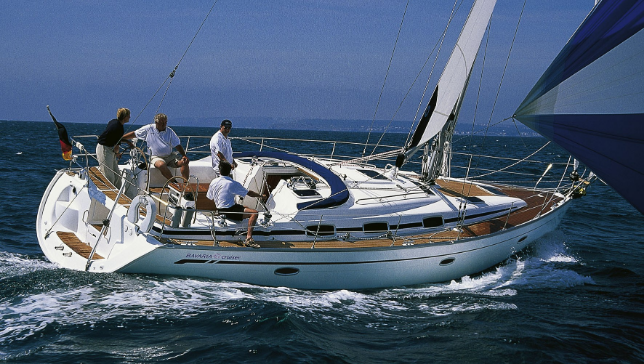 We are a professional company born from the enthusiasm about sailing . 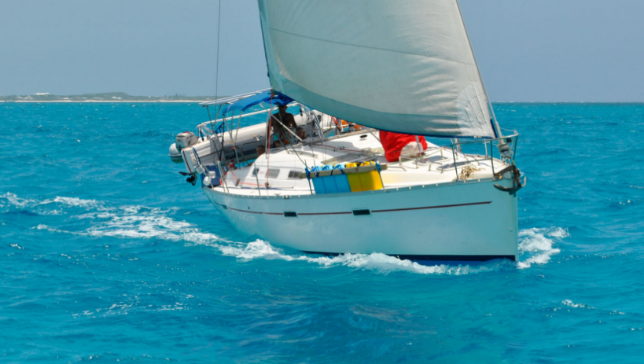 We offer spectacular sailing vacations in the Caribbean. 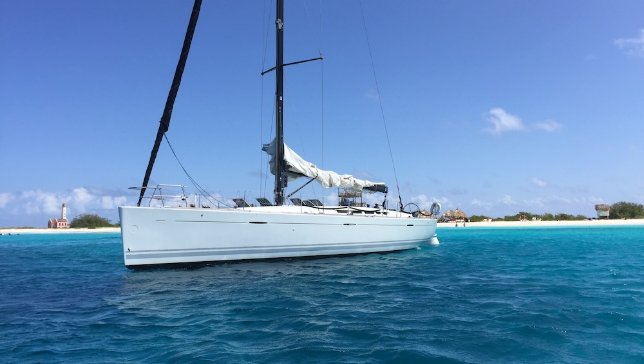 Our yacht charter representative is located on Curacao where we are suitable for families, couples and small groups welcome guests aboard our well maintained yacht. 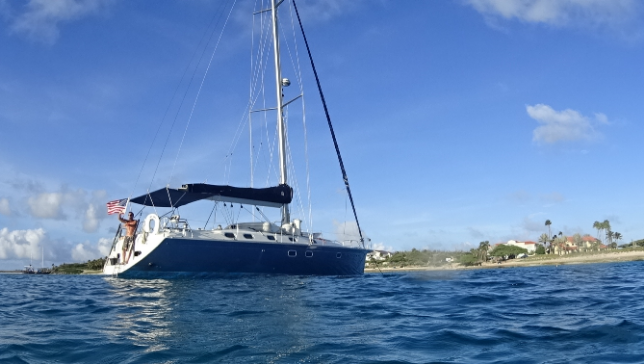 We offer fantastic sailing holidays, charter options for our customers experienced and inexperienced sailors. Whether you are looking for relaxed sailing, active snorkelling- diving excursions or for a special occasion to celebrate, our team can organize it for you. 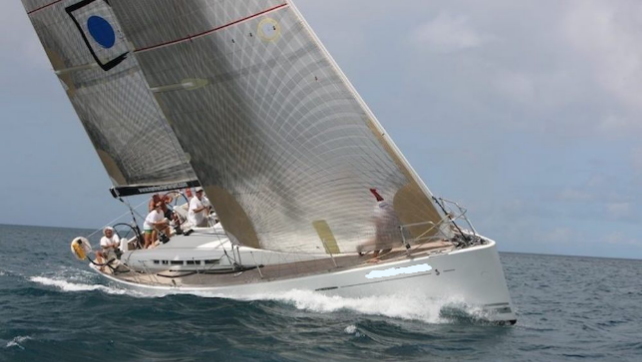 Our boat is designed as a performance sailing boat by Philippe Briand with a deep torpedo keel of 2,80 m / 9.19 ft and a black aluminium mast of 22,3 m / 76,39 ft. 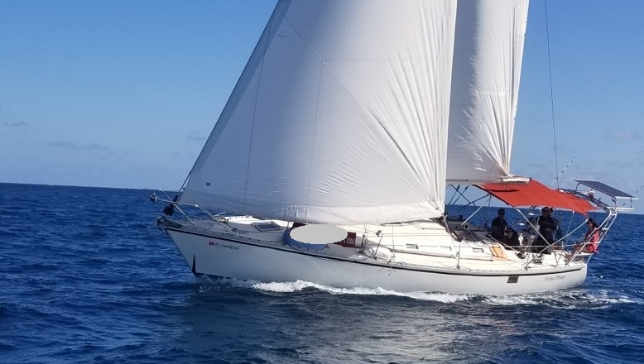 Her complete new racing sail inventory makes her a true winner candidate. 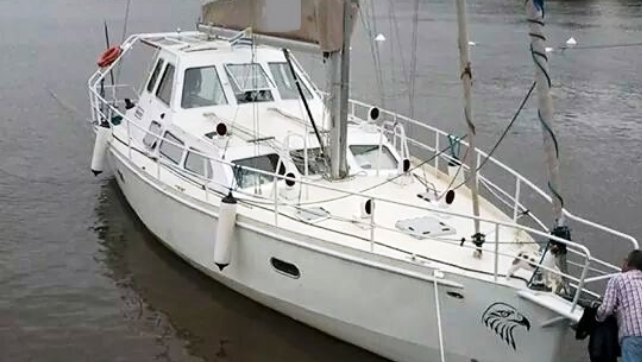 Two steering wheels, big self tailing winches and complete new running rigging and hydraulic backstay and vang she is easy to handle by a small crew but she can be easily over powered and needs an active sailing team. We kindly like to offer your company branding possibilities, provide team wear to make the BVI Regatta a memorable and marketing tool for business clients and/or colleges. Sailingour ship is great fun an team effort will be paid.Sailing around the Islands. What to do en Curaco? The beautiful clear waters are ideal for snorkelling and scuba diving. We will make our sailing stops for snorkelling or diving. Depending on the weather, currents, wave height we plan our trip and distance. The Caribbean provide numerous locations for a wonderful dip and you will be a piece of unspoiled nature. Aniverseries, Newlyweds, Foto & video, shootings, Snorkling and suba diving, Team , building activities, V.I.P. or business trips, Regatta's and sail training. On board our boat, you will live a unique experience in a paradisiacal environment, connected to the sea and the Caribbean islands. The flexible itinerary will allow you to plan your day with the captain. The boat has dinghy, snorkel equipment, fishing rod, stand-up board and all the amenities that are detailed in the experience. Together we can define what to do in San Blas. What to do at Ibiza? 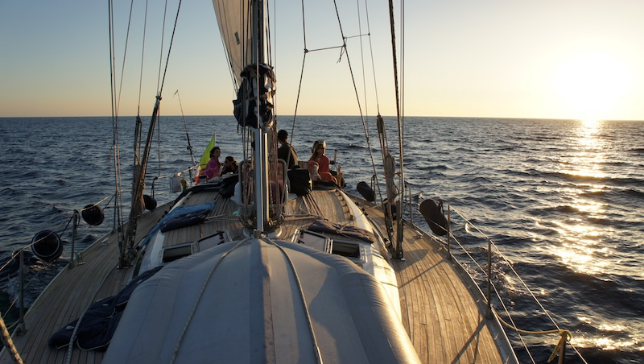 During theese days we will enjoy together, we will circumnavigate the island of Ibiza and the sister island Formentera. This means you will have the possibility to enjoy different bays. We will visit places that can only be accessed by boat and enjoy breathtaking sunsets, swim in crystal clear waters in beautiful coves and enjoy a holiday amidst nature and tranquility. If you're interested in discovering the nightlife in the evenings, no problem! Everyone can explore as they please! Luxury Cruising on 28 meter Gulet with 6 large cabins and washrooms and a star chef, hostess, captain and sailor. See the islands of Sardinia and cruise in the exclusive areas of costs smeralda, discover the waters and private beaches of Italy with your own personal crew. Sit on the deck and let our crew spoil you with the fresh fish and delicious wines of the area. It is another way to explore Europe. Enjoy the top cruising. 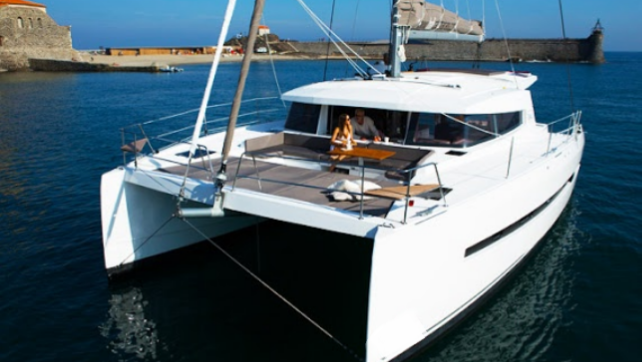 A luxury catamaran charter with an emphasis on fun and adventure. We travel from South Florida to the Florida Keys and the Bahamas. Luxurious accommodations for up to 6 adult guests and 1 child as well as our crew of 2-3 in the additional cabin and crew quarters all complete with ensuite shower and head facilities. 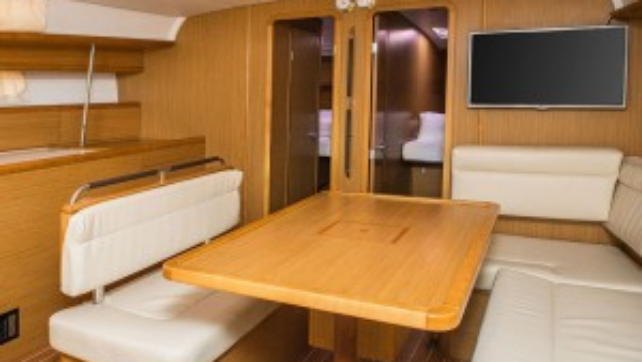 She is top in her class of sailing yacht charters in style, comfort and cleanliness. All cabins have abundant storage, hanging lockers, and shelves. She is fully air conditioned throughout. Enjoy big screen TV and media server in salon. Stretching throughout the Caribbean, the British Virgin Islands are a kaleidoscope of aquamarine waters, sun-soaked harbors, and white-sand beaches. 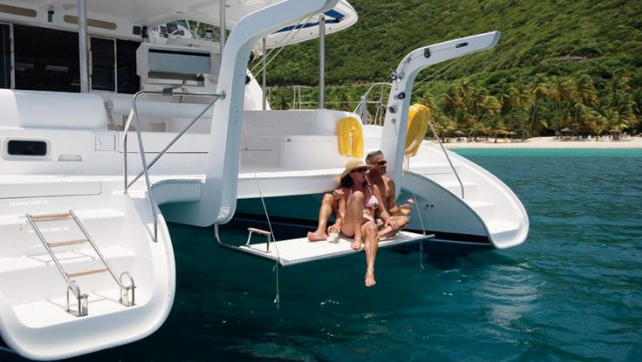 Distinct ports of call can be found among the more than 25 pristine islands that make up the BVI. Throw away the to-do list and leave your day to chance, where you can search for turtles off the shores and find yourself gazing across the sea from a hilltop bar. Fill all your senses with spectacular scenery, delectable cuisine, and soft-sand beaches. 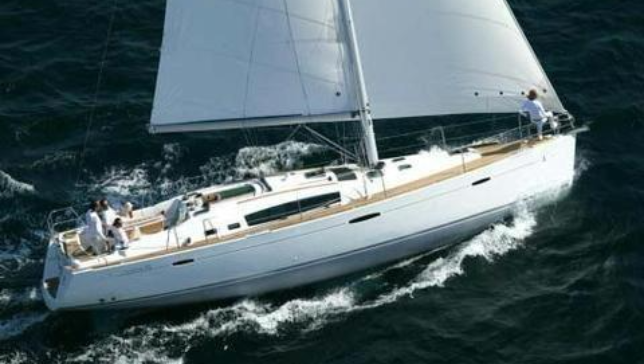 Week-long Sailing yacht in Greece or Salento from April 1st to November 30st, we organize from Salento to the Greek islands. Departure is scheduled for Monday morning; we'll return to port on Sunday evening. Th itinerary for Greece includes a visit to the Diapontia Islands and to the islands of Corfù, Sivota, Paxos and Antipaxos. Possibility to boarding directly on Corfù. The itinerary for Salento includes a visit of San Foca, Otranto, Leuca, Maldive of Salento, Gallipoli. Possibility to boarding in the various ports. The captain is available to plot modifications to the route during the cruise. Fare per person will be calculated on a case-by-case basis and finalized by contract. 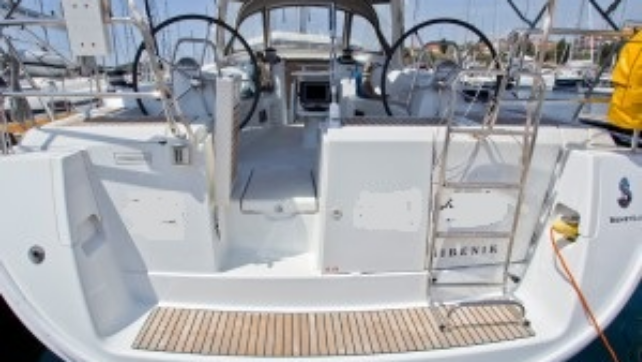 Your boat is Beneteau 50. The price corresponds to the daily value between the weeks of May 25 to June 22. Prices can go up or down on different dates and are expressed in dollars. They are confirmed at the time of booking according to the chosen week and the euro / dollar exchange rate of that date. The architecture of these Montenegrin coastal cities transports to the Middle Ages, with a 'stari grad' (old town) often walled and narrow alleys that invite you to get lost. What to see in Montenegro? What to do in Montenegro? The closest to the Croatian border is Herceg Novi, founded in the s. XIII. Small citadels, tiny islands and rugged landscapes, Montenegro, the "most beautiful union of land and sea". The Adriatic coast has some small jewels that have nothing to envy to Dubrovnik, the (already) massified fortified city in southern Croatia. The architecture of these coastal Montenegrin cities transports the Middle Ages, with a 'stari grad' often walled and narrow alleys that invite you to get lost. The closest to the Croatian border is Herceg Novi, founded in the s. XIII. Its strengths and its clock tower are two of its main charms. Kotor is the treasure of the bay and UNESCO heritage since 1979. It is impossible to walk around its citadel embedded in the mountain without evoking Venice, a sensation that makes a lot of sense: for almost four hundred years the metropolis and its surrounding cities, which make up the Bay of Kotor. If there is a sun destination in the country, that is Budva. The city that the British writer Rebecca West once defined as "a little white turtle against the blue sea" is often compared to Dubrovnik because of its 'stari grad', protected by medieval bastions overlooking the sea. Budva is the city that treasures the best-known beaches. To the south, the two kilometers of sand of Bečići have made it the most sought after by bathers, while Jaz Beach, to the north, is a quieter place that gained fame thanks to the open-air concerts given by groups such as Rolling Stones or Madonna. Other popular beaches are Velika Plaza, which with its 12 kilometers is the largest in the Balkans, and Petrovac, on the coast of Budva, thanks to its turquoise waters and its rustic settlements of the ancient city. The best option for a comfortable and safe navigation and complete vacations! Our experienced captains are a real treasure that will make your vacation more relaxed. Save your valuable time and energy, since the captain will plan all the necessary details of the route, carry out the climatic conditions, the mooring, the anchoring, the customs procedure, so that you can enjoy without stress. 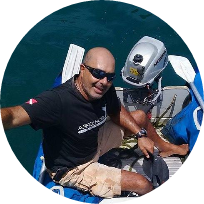 You will be satisfied with the captain who, with his experience and local knowledge, will be in charge of the daily operation of the boat. Clear water, white sand beaches, coconuts trees islands. 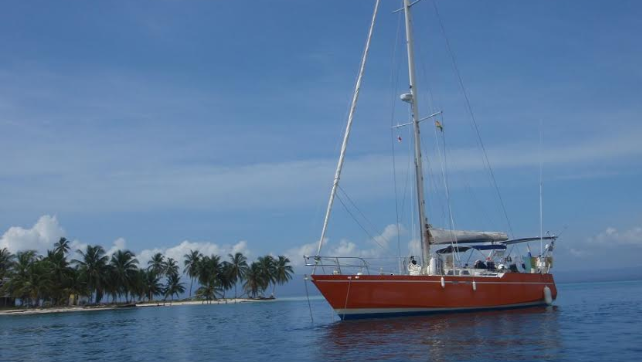 Guna Yala neighborhood in a very confortable 42 feet catamaran. All meals and drinks are included. Amazing place, everywhere you look is a picture postcard. Your cat in Croatia is a Lagoon 440. 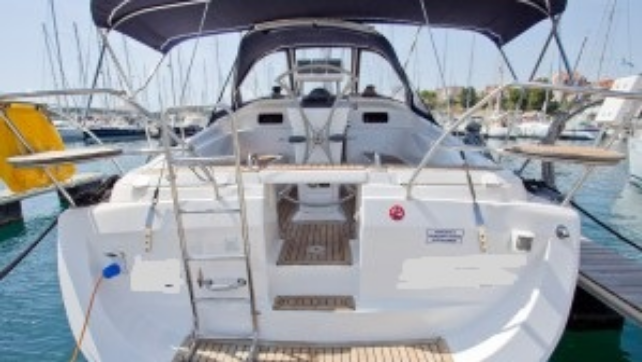 Your boat in Croatia is Jeanneau 40. 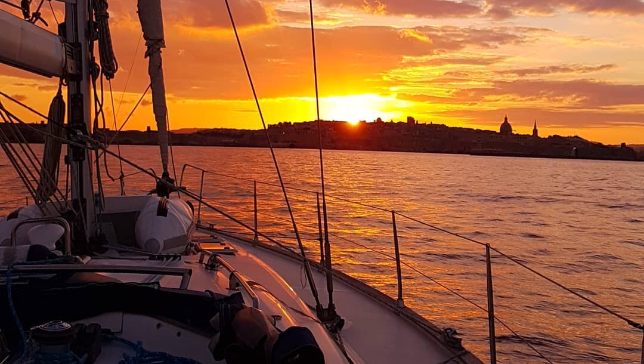 Week-long Sailing excursions in Greece or Salento from April 1st to November 30st, we organize from Salento to the Greek islands. Departure is scheduled for Monday morning; we'll return to port on Sunday evening. Th itinerary for Greece includes a visit to the Diapontia Islands and to the islands of Corfù, Sivota, Paxos and Antipaxos. Possibility to boarding directly on Corfù. The itinerary for Salento includes a visit of San Foca, Otranto, Leuca, Maldive of Salento, Gallipoli. Possibility to boarding in the various ports. The captain is available to plot modifications to the route during the cruise. Fare per person will be calculated on a case-by-case basis and finalized by contract. Taking vacations and sailing are unforgettable experiences to get out of the monotony and noise of big cities, share a meeting space with family, friends, couple and also with yourself. 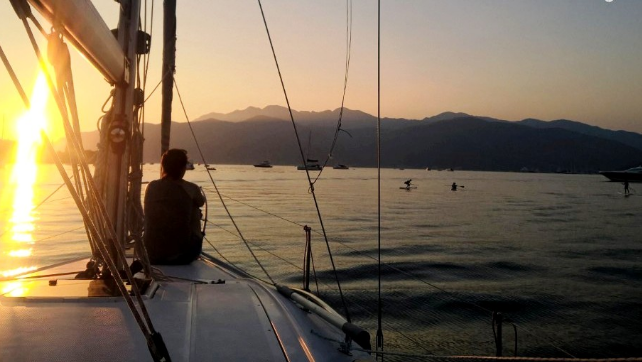 Enjoy sailing, sunrise every day On a new crystal-clear beach, swim in natural aquariums and watch the stars on deck at night.. A week of vacation sailing through the beautiful colonial city of Paraty, also visiting Paraty Mirym and Saco de Mamanguá. After defining the route. 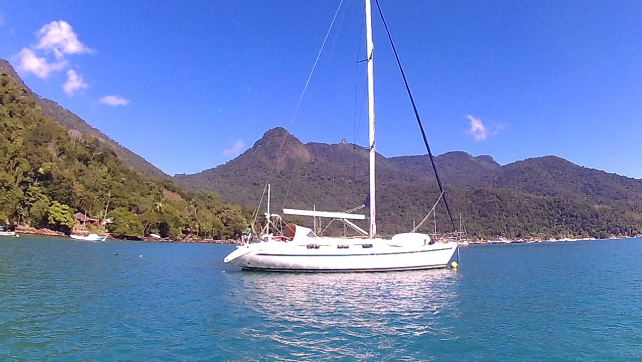 5 days of vacation sailing through the paradisiacal beaches of Angra dos Reis, Ilha Grande . Swim in crystal clear water, enjoy the beautiful beaches, snorkel are some of the activities you can do. The tour will be designed together with you and your group and may include: Botinhas Islands, Cataguases Islands and Ilha Grande: Maguariquessaba, Ensenada de Sitio Forte, Freguesía, Bananal, Japariz, Lagoa Azul, Saco do Ceu, Abraao, Palmas, Pouso , Lopes Mendes. After defining the route, it is confirmed at the time of boarding with the weather.The port of embarkation is the Pirates Shopping in Angra dos Reis, 151 km from Rio de Janeiro, we can coordinate the transfer for you if you need it. Sailing Weekend in Greece every weekend, all year round, we sail from Santa Maria di Leuca to the beautiful island of Othoni and back. Departure is scheduled at dawn on Friday; we'll reach Othoni in the afternoon. In the evening, you'll be able to choose between visiting the island or having dinner on-board. On Saturday, you'll get a chance to take a tour of the island and enjoy life on the sea. Return trip to Santa Maria di Leuca is scheduled for Sunday Morning. Meals and overnight accommodation on board. Note: All schedules are subject to variation due to weather and sea conditions. 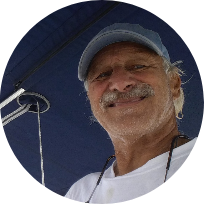 The decision to sail or remain in port rests ultimately on the skipper and is not negotiable. 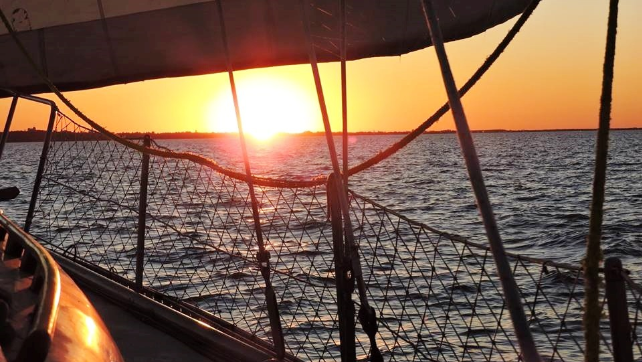 Custom packages can be arranged for those who would like to sail on different days or take longer trips. 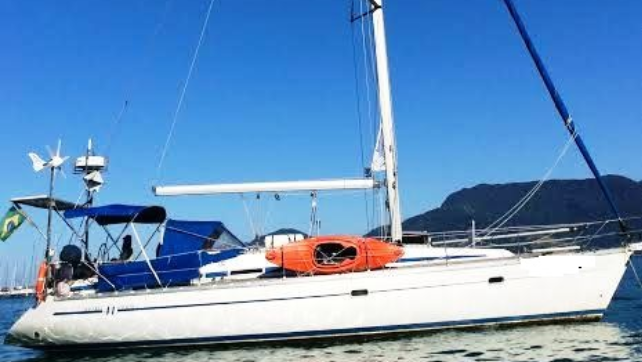 Things to do in Angra dos Reis Get out of the rut come and have fun on board. We make exclusive and reserved tours where there will only be your group in the boat. 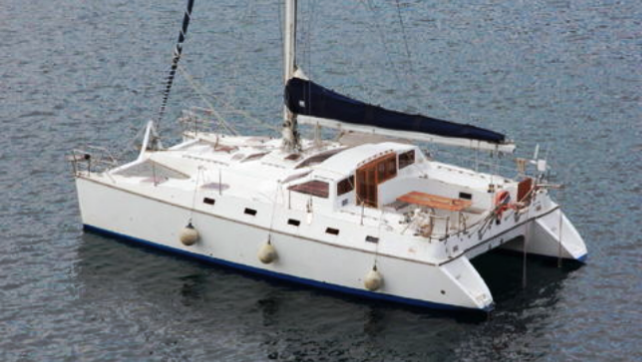 Our Sailboat has 3 bedrooms, large living room, stove, refrigerator, bathroom. We also have entertainment items: StandUP board, Snorkel masks, boat for landing in the islands. The client chooses the itinerary of the islands. The overnight stay is inside the sailboat. Boat charter in Angra? A weekend, a holiday, a week's vacation? Come experience living aboard. Browse the paradisiacal beaches of Angra dos Reis, Ilha Grande and Paraty. Things to do in Angra dos Reis Dive in crystal clear waters, with fish, turtles and even dolphins, snorkeling. Go to corners with streams, waterfalls, quiet beaches. Let's choose together the best script for your new experience. You can board the Piratas Mall, in Angra dos Reis, or in Praia Grande, in Paraty, with all the infrastructure of pier and parking. 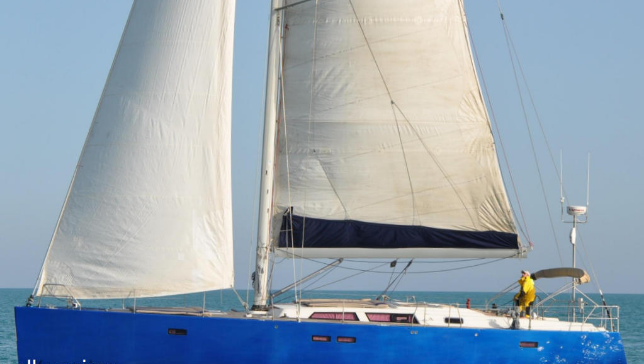 EXPERIENCE OF LIFE ON BOARD: Do you want to drop everything and live by the seven seas on board a sailboat? 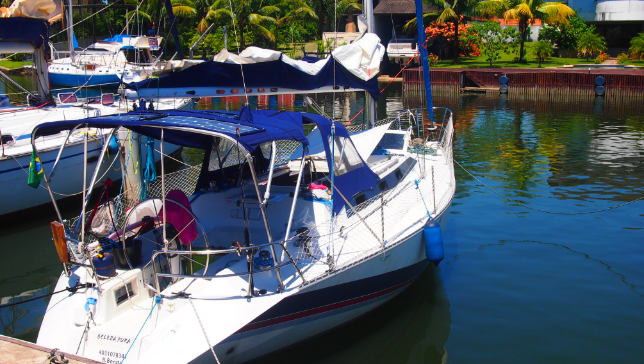 Here you can live the ONLY LIFE EXPERIENCE ON BOARD available in the region of Angra, Paraty or Ilhagrande. 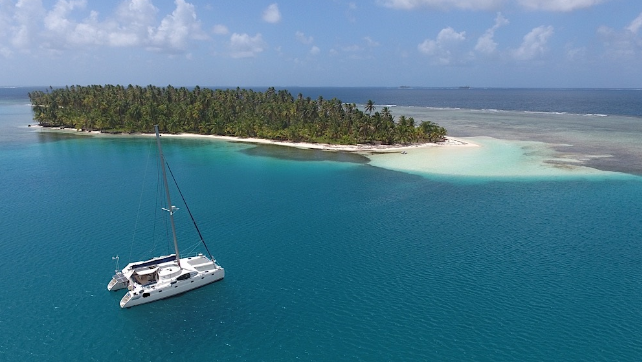 The experience already begins in the preparations for the season that can be 2 to 10 days living in our sailboat and the islands and beaches of the region. We will plan and execute all the planning from the supplies to the season until the time we set sail back to Marina. Here every day is a different day with all the pleasures of life together with the most beautiful anchorage points to the difficulties imposed by nature and lack of planning. Boat charter in Paraty? A weekend, a holiday, a week's vacation? Come experience living aboard. Browse the paradisiacal beaches of Angra dos Reis, Ilha Grande and Paraty. Things to do in Paraty. Dive in crystal clear waters, with fish, turtles and even dolphins, snorkeling. Go to corners with streams, waterfalls, quiet beaches. Let's choose together the best script for your new experience. You can board the Piratas Mall, in Angra dos Reis, or in Praia Grande, in Paraty, with all the infrastructure of pier and parking. The beautiful clear waters are ideal for snorkelling and scuba diving. We will make our sailing stops for snorkelling or diving. Depending on the weather, currents, wave height we plan our trip and distance. The Caribbean provide numerous locations for a wonderful dip and you will be a piece of unspoiled nature. Come sail the Bay Islands of Honduras (Utila, Roatan,Guanaja and Cayos Cochinnos).. We have two cabins, maximum four people on our overnight cruises. All meals are included, as are guided snorkeling trips with PADI ceprtified DiveMasters.. Best place to scuba diving Roatan. The pristine islands of Cayos Cochinos are a great overnight destination. Guanaja is better for a three day experience, but all of our cruises are customizable, so let us know what your schedule is and we'll put together the vacation of a lifetime! 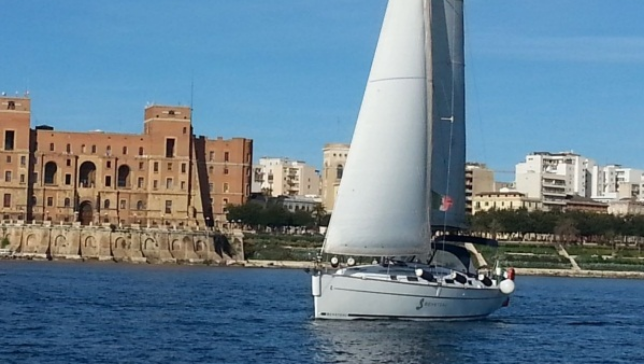 Sailing Daily Excursions in Puglia every day, all year round, from Santa Maria di Leuca. During our excursions, we'll sail both in the Adriatic and in the Ionian Sea; what to see in Puglia? we'll visit some of the caves that adorn the beautiful coastline, and that are only accessible by sea. Complimentary lunch will be served during the excursion. We'll also be happy to offer you a taste of local specialties, fresh sea urchins and a glass of white wine. (Please note that sea urchins will not be available during seasonal fishing bans). What to do in Puglia? 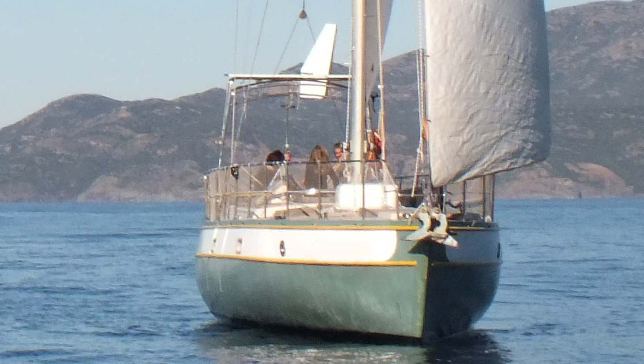 Custom packages can be arranged for birthdays, graduation parties, bachelor/bachelorette parties, business meetings, anniversaries, sailing courses, private parties, etc. This is a script designed to relax. 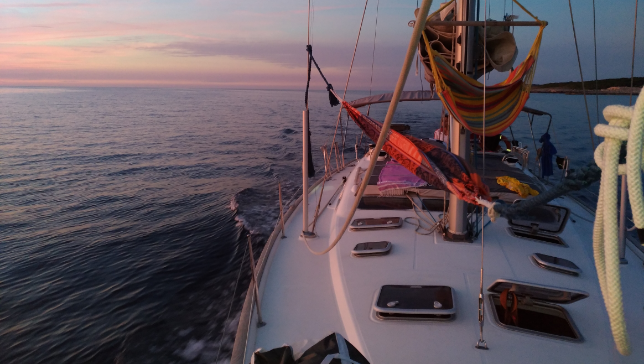 Seven days sailing through some of the main points of the Bahia coast. Departing from the Modelo Market, in Salvador, passing by the island of Itaparica, Morro de São Paulo, and ending with Camamu. A week to explore the most beautiful and charming corners of this enchanting coast. We will get to know the most charming places, getting in touch with its people, its cuisine, with the musicality of its drums, its rhythms and mysteries. A shore full of stories and surprises. This proposed roadmap should be taken into account as a suggestion. That is, within it it is possible to have some flexibility to decide together which places are worth more time to spend more or less time. For example, it is possible to spend a few days in Salvador before leaving for other places. Or, it is possible to leave before Salvador, to spend more time discovering the bucolic and quiet corners of the bay of Camamu ... It all depends on what the crew intends to see and do. Decisions are taken together with the skipper, in front of a nautical chart of the region to better visualize the possibilities available. What to do in Saronic Islands: the beautiful Poros, Salamina with its turquoise waters and Idra. The itinerary will be granted in advance or at the time of departure, taking into account the preferences of the crew, however you will visit more islands, discover the most beautiful bays, the most characteristic villages and you will enjoy the peaceful life of this wonderful corner of Greece. For safety reasons related to weather conditions, the commander's last option on the itinerary remains unavailable. 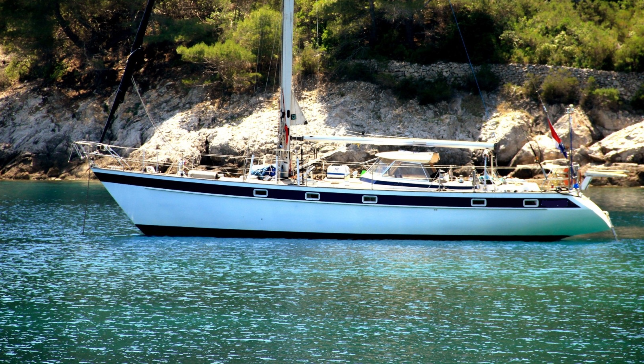 Your boat in Croatia is Elan 434. Fishing Bolentino in deep sea Salento: Big Game fishing trips in deep sea take place between 10 and 20 miles away from the coast at a depth ranging from 300 to 500 metres. You can find different kinds of preys like stone plovers, congers, gropers, codfish and scorpion fish. All of them with outstanding patches! Big Game in Salento: The trolling activity in open sea is performed at a distance of 25 miles away from the coast covering various miles with an average pace of 7 knots approximately and paying out a number from 5 to 8 rods. Everything is carried out with highly professional equipment. Fishing Trolling at the bottom of sea in Salento: This trolling activity is performed on bathymetric from 25 metres upwards with a speed of 1 knot. Two rods are baited with live bait such as squids, cuttlefish, tombarelli and then plunged deeply in the water through a drift lead. 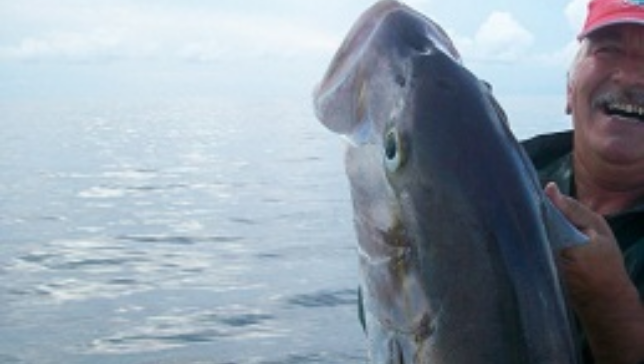 You can find different well-patched types of fish such as amberjacks, dentex, gropers, wreckfish, skipjack…. The equipment provided for this fishing activity is highly professional. Indeed electric-propelled rods are employed. It has an onboard counter-litre computer that displays accurately to the users the amount of fuel consumed. What to do in Ibiza and Formentera? During these week we will enjoy together, we will circumnavigate the island of Ibiza and the sister island Formentera. This means you will have the possibility to enjoy different bays. We will visit places that can only be accessed by boat and enjoy breathtaking sunsets, swim in crystal clear waters in beautiful coves and enjoy a holiday amidst nature and tranquility. If you're interested in discovering the nightlife in the evenings, no problem! Everyone can explore as they please! We propose to discover the paradise of Angra dos Reis, Ilha Grande and Paraty, aboard a 40 meter sailboat, built in 1886 and restored from 1990. The tour will be designed together with you and your group, always under the captain's assessment, and may include: Botinhas Islands, Cataguases Islands, Ilha Paqueta, Ilha da Gipoia, etc. and on Ilha Grande: Ensenada de Sitio Forte, Freguesía, Bananal, Japariz, Lagoa Azul, Saco do Ceu, Abraao, Palmas, Pouso (access on foot to Lopes Mendes), and may also include a navigation to the beautiful colonial city of Paraty. The boarding place is Praia da Ribeira, in Angra dos Reis, 151 km from Rio de Janeiro. 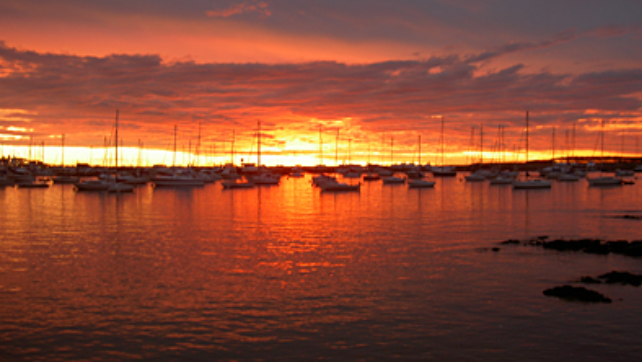 Have you thought about visiting Abrolhos by sailing? Combine the delight of sailing the south coast of Bahia with the possibility of diving into one of the main points of Brazil. As if that were not enough, Camamu, Caravelas, sailing in the open sea ... life on board, navigation in style. 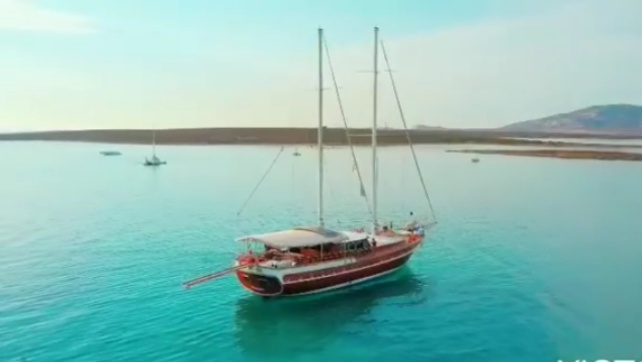 Activities that can be developed: sailing, sailing, logically, snorkeling, small kayak excursions, fishing (with the exception of the National Marine Park of Abrolhos), etc. On board we have two support boats, two double inflatable kayaks, ample space on the deck, awning to provide good shade and cool environment, fishing equipment and diving, etc. St Vincent is a gateway to the famed Grenadines, a glorious chain of unspoiled islands rising out of the pure, turquoise waters of the Southern Caribbean. 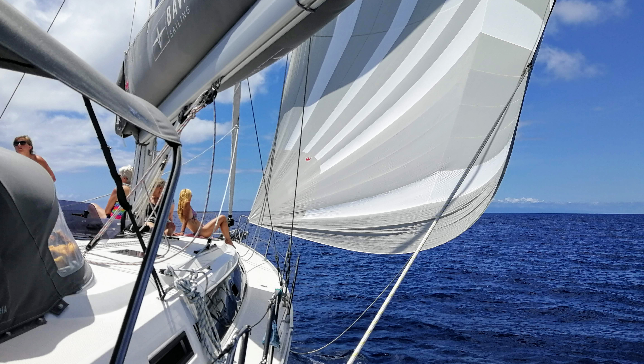 The hosts have been sailing these waters for many years and have an unrivaled knowledge of every secret bay and hidden anchorage so we can create personalised St Vincent yacht charter sailing itineraries which will turn your voyage into a cherished memory. Enjoy this marvelous navigation through the Rio de la Plata leaving the port of Buenos Aires to arrive at the port of Punta del Este, the most chic and glamorous city in Uruguay. A week of vacation sailing through the paradisiacal beaches of Angra dos Reis, Ilha Grande and Paraty.. Swim in crystal clear water, enjoy the beautiful beaches, snorkel are some of the activities you can do. The tour will be designed together with you and your group and may include: Botinhas Islands, Cataguases Islands and Ilha Grande: Maguariquessaba, Ensenada de Sitio Forte, Freguesía, Bananal, Japariz, Lagoa Azul, Saco do Ceu, Abraao, Palmas, Pouso , Lopes Mendes, and may also include a navigation to the beautiful colonial city of Paraty, also visiting Paraty Mirym and Saco de Mamanguá. 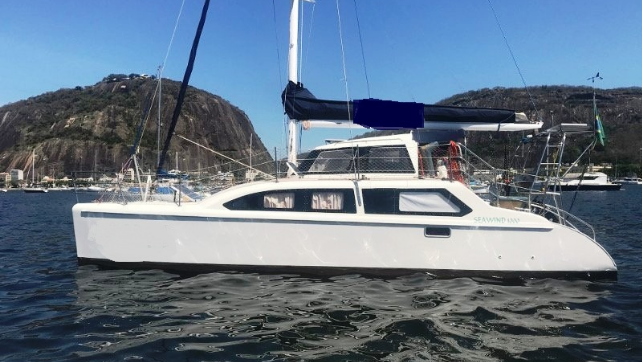 After defining the route, it is confirmed at the time of boarding with the weather.The port of embarkation is the Pirates Shopping in Angra dos Reis, 151 km from Rio de Janeiro, we can coordinate the transfer for you if you need it. Fishing Bolentino Salento: These type of fishing experience is very fun and dynamic. It suits all ages as you will be using very light equipment however do not underestimate the fishes!! All the equipment will be provided. Fishing Trolling Salento: These kind of activities target everyone and the majority will be organized in the early morning hours or late evenings so you will get the chance to enjoy a beautiful sunrise or sunset with an amazing view from the sea. All the equipment will be provided. Unforgettable!! The Nahuel Huapi in another dimension!Beautiful baptism cruise on board the sailboat, the ship is great. 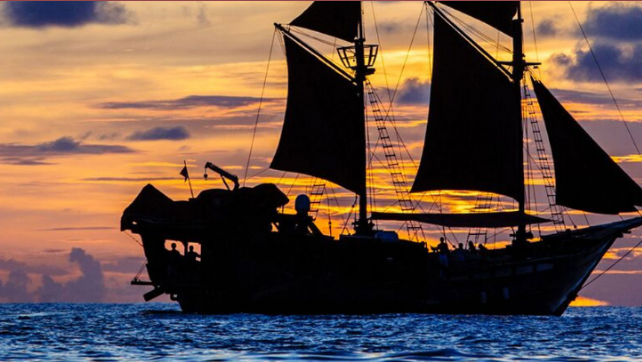 You will spend a wonderful day listening to the tales of the Captain and enjoying incredible landscapes! THREE DAYS: Go to Cologne, walk by land on the second day, and return in the third. FOUR DAYS: Go to Carmelo for the Delta, arrival at the end of the afternoon. Walk through Carmelo during the morning and sail to Colonia. Walk through Cologne. Return to Buenos Aires. Taking vacations and sailing are unforgettable experiences to get out of the monotony and noise of big cities, share a meeting space with family, friends, couple and also with yourself: enjoy sailing, sunrise every day On a new crystal-clear beach, swim in natural aquariums and watch the stars on deck at night.. A week of vacation sailing through the beautiful colonial city of Paraty, also visiting Paraty Mirym and Saco de Mamanguá. Our program: sailing, swimming, diving. Exploring the beautifully preserved architecture and historical monuments, and enjoying beautiful nights on the beach and dining by the sea, are the two activities you have to do in Greece. 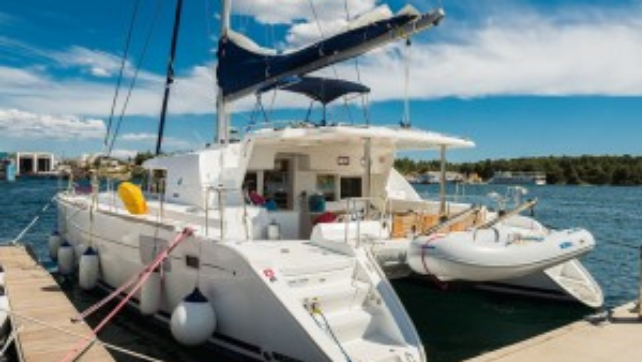 Renting a boat in Greece is a great opportunity to explore the area on a sailboat with your family or your friends, enjoy diving or learn to kite surf. What to eat in Greece? You can not miss the delicious Moussaka, Skordalia and the local Tzatziki, and for dessert the exquisite Baklavas. Greek cuisine also has two well-known drinks: Retsina, flavored with pine nuts, and the famous Ouzo, an alcoholic drink made with anise . the Saronic Gulf offers you wonderful places, ports and villages of all the seascapes of the country. 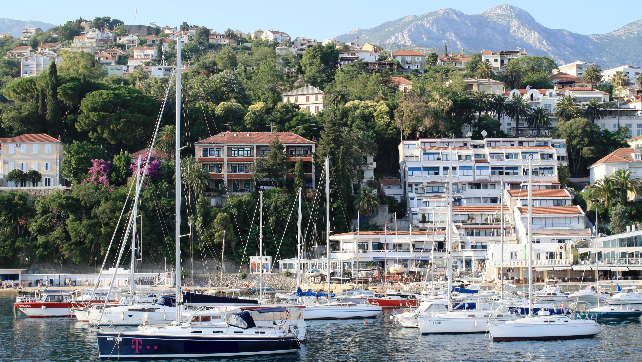 If you travel to the Saronic Islands, you can not miss the beautiful Poros, Hydra and Salamina. Poros, is a place that surprises you, near Athens, and away from the hordes of tourism that is usually seen in the months of August in Europe. If you travel to Poros, one of the obligatory stops is to take pistachio ice cream, it will be the best ice cream of your life. And you can buy tzatziki already prepared in the Kritikos supermarket. You have hundreds of options to stay, one more beautiful than the other, it almost never rains, so much that at night if you are in a mooring you will be able to see the film that they are presenting on the screen of the Open-air Cinema, which is on the terrace of the only gallery you'll find in Poros. The island Aegina is a very small island with very transparent waters. After visiting and touring the intoxicating city of Athens, you can continue your journey towards Salamina Island. Your water, for sure, will be the most transparent you see again, so much that you can know every bit of its bottom, even being 10 meters deep . 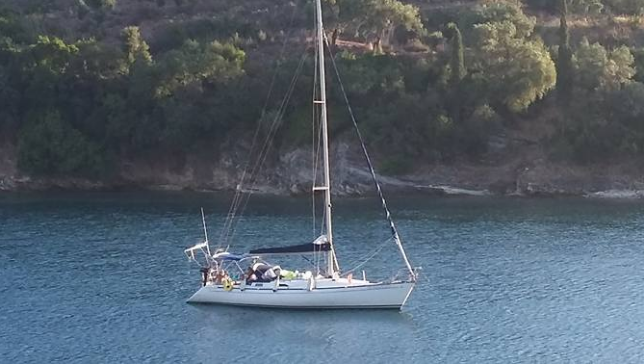 But the real pleasure is to rent a boat in Greece and start a cruise on those beautiful islands. If you want to build your Itinerary to navigate with a rental boat, we can help you. 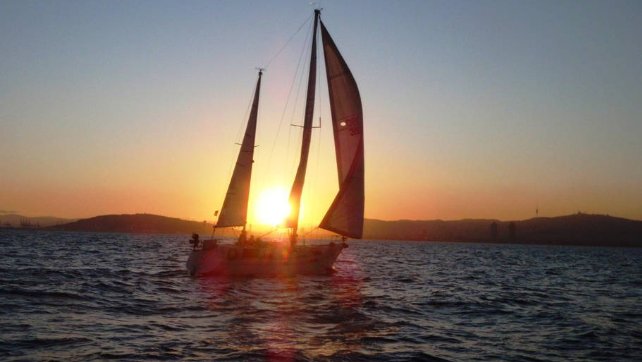 Sailing in Greece is a very famous activity, it is a "must" if you really want to enjoy your trip. 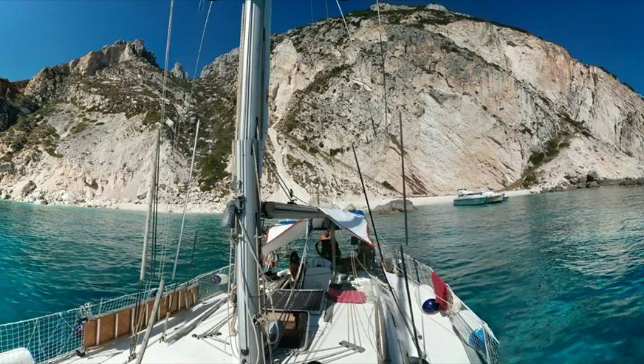 No matter where you decide to go, you will have unforgettable moments if you rent a boat in Greece. Our programme : sailing, swimming, snorkeling, visiting Kunas friends on the islands, trek in the forest... On the menu: extra fresh fish every day for those who like it ! : baked fish in olive oil, tataki, coconut milk fish, Jamaican style or Tahitian recipes ... And we like cooking veggie / vegan for those who like. 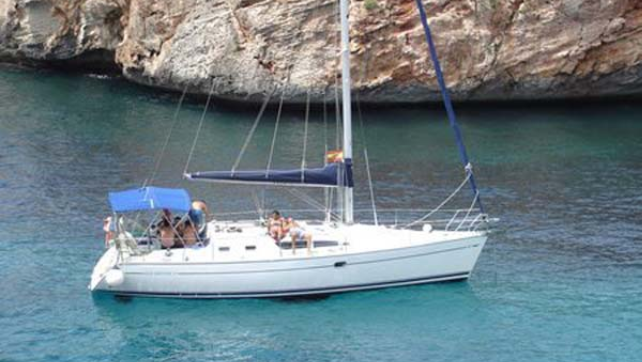 Sailing to Altea, Calpe or Moraira along the beaches, anchoring to give us a refreshing swim and enjoy a good meal. Or to the island of Tabarca that has a natural reserve where we can dive to observe the different marine species. Rest, relaxation and fun are guaranteed. What to do in Ibiza and Formentera? 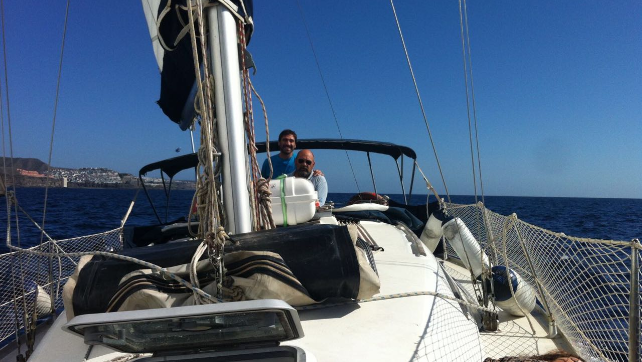 During theese days we will enjoy together, we will circumnavigate the island of Ibiza and the sister island Formentera. This means you will have the possibility to enjoy different bays. We will visit places that can only be accessed by boat and enjoy breathtaking sunsets, swim in crystal clear waters in beautiful coves and enjoy a holiday amidst nature and tranquility. If you're interested in discovering the nightlife in the evenings, no problem! Everyone can explore as they please!